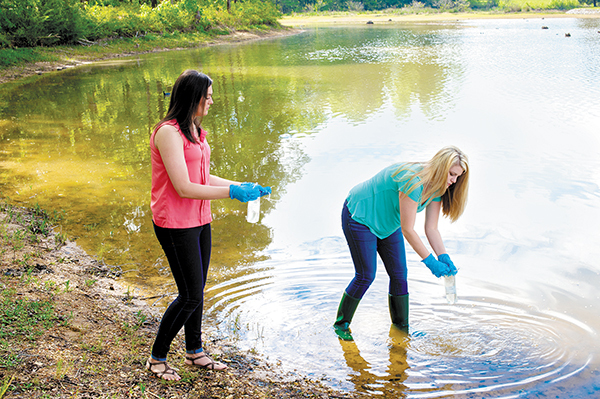 Public health students taking water samples in the Coosa river as part of a clean water project. When we see the human misery from recent megaquakes in Mexico, we have to consider that fault lines capable of an eight-point quake are as near as Memphis and South Carolina. The continuing barrage of mass shootings and vehicle attacks by terrorists make us ask how such things could happen--and could they happen here? Are we ready to respond? With all the bad news out there, the good news is that public health and emergency response teams aren't just waiting for the next disaster to happen. They are working to prepare for whatever may come. 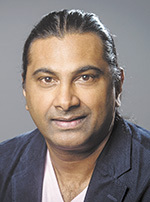 Two people at the center of efforts to improve preparation and response to regional and global health emergencies are Lisa C. McCormick DrPH, MPH, Director of the Deep South Biosafety and Infectious Disease Response Worker Training Program, and Rubin Pillay, PhD, medical futurist and Professor of Healthcare Innovation and Entrepreneurship at UAB. "After 9/11 and the anthrax letters made it clear that we needed to gear up our capabilities to respond to public health emergencies, congress voted funding of grants to help all 50 states and the US territories improve their preparations to respond to terrorism," McCormick said. "Hurricane Katrina taught us that we also needed more robust capabilities to respond to other types of disasters, so there was a push to expand preparation programs to all hazards, with a network of organizations working together. Each specialty is set up to take the lead, depending on whether the disaster was related to weather, infectious diseases, fire, earthquake, chemical contamination, or another hazard." "Some threats, especially infectious diseases, need preparation that goes beyond regional and national boundaries with more international cooperation to help rapidly identify, contain and treat outbreaks," Pillay said. "With air travel, infections can go from one remote village to the most populous cities around the globe in a matter of days." Now that high speed genetic sequencing allows faster identification of diseases and the DNA fingerprint of particular strains, western countries with advanced technology resources are in a better position to respond to outbreaks and develop new treatment approaches when needed. "Unfortunately, so many of the emerging diseases like Ebola, resistant strains of Malaria, and other contagious diseases show up first in poor countries that don't have the resources to identify and treat the disease in time to stop it," Pillay said. "Not only for their sake, but to protect people everywhere, we need a stronger cooperative international effort." McCormick is Director of the Office of Public Health Practice for the UAB School of Public Health. She teaches disaster and emergency management and preparedness policy, and has coauthored three text books on the topic. She is also Lead Evaluator for the Region IV Public Health Training Center in assessing response capacity and community resiliency of interorganizational networks. "We have to be able to reach across organizational and geographic boundaries to respond to many different types of events that can be different in nature, magnitude and the capabilities required to deal with them," McCormick said. "Most states and county health departments have emergency plans in place. In Alabama, the state health department takes lead on managing emergencies in most counties. Jefferson and Mobile Counties also have emergency management at the county level." Resources ready to respond can vary by the size of the city, and by the most likely risks. Along the coast, the impact of a hurricane is a direct threat. Further inland, tornado outbreaks can affect the entire state. Birmingham's large population, multiple interstates and rail lines converging, tall buildings, wide range of manufacturing and warehousing, prominence as a regional healthcare referral center, and geography of heavily forested mountains and flood-prone valleys along with frequent extremes in climate create its own unique threat profile. "The CDC lists 15 capabilities states should develop in order to be ready for a crisis event," McCormick said. "This includes emergency services like fire and hazardous materials response, mass fatality management, and access to medical services during disruption. Ice storms would be an example where people who need oxygen, dialysis and essential medications may need help. Facilities management and coordination between hospitals is necessary to see that those who need care are taken to the nearest facility with beds and staff available. "We have many health professionals in Birmingham who respond to health emergencies in other areas and other countries. When volunteers return home, the health department monitors their status to make sure that any symptoms they develop are managed and don't open up the possibility of transmitting a dangerous infection to the community." Pillay also pointed out that public health professionals are playing a role behind the scenes to protect everyday necessities we take for granted. "Food and water security are big issues around the world," he said. "The safety of our food and water supply are concerns for everyone. Our public health teams are working to prevent food borne illnesses and remove the threat before it spreads. "Vaccinations have brought down the death toll in third world countries and are increasing life expectancy. Unfortunately, misinformation is reducing vaccination rates here at home and allowing outbreaks of preventable diseases. We need to get the facts out so parents can make informed decisions." Pillay also warned against slow motion outbreaks of diseases like cancer, neurological disorders, metabolic disorders, heart and lung diseases that may be partially linked to preventable causes like air and environmental quality, nutrition, and the lack of preventive care. Some progress has been made in preparing to respond to terrorist attacks since 2001, but terrorism threats continue to evolve. Home grown mass shooters have emerged with increasing frequency and higher death tolls, and we as a nation still haven't come to consensus on how prevent rather than just respond. But with many of the dangers we face, we have the assurance of knowing that public health responders are making it their business to save lives and protect health around the world. Perhaps the best strategy for living in an uncertain world is to prepare for the worst, expect the best, and savor in full measure the joy in every day.